EXO REALIZA COMEBACK CON KOKOBOP ROMPIENDO RECORDS Y ALL KILL EN LISTAS DE POPULARIDAD. 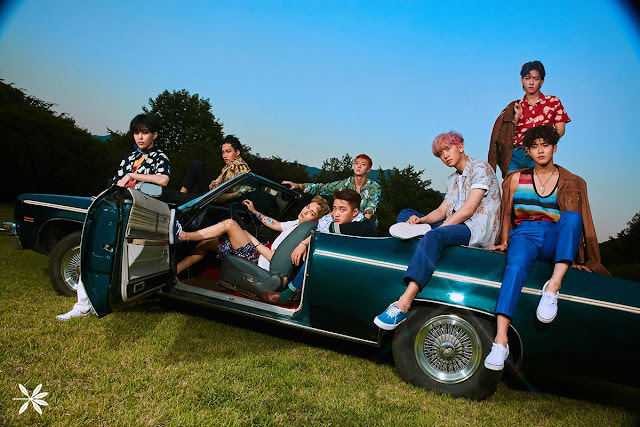 EL PASADO 18 DE JULIO EL GRUPO DE KPOP EXO CONFORMADO POR SUHO, XIUMIN, CHEN,BAEKHYUN, CHANYEOL, KAI, D.O. Y SEHUN HICIERON COMEBACK CON EL ALBUM THE WAR. EL 8 DE JULIO SE DIO A CONOCER EL COMEBACK DE EXO CON EL ALBUM TITULADO "THE WAR ", LANZANDO 3 NUEVOS LOGOS, CON 9 CANCIONES SIENDO LIBERADO DIGITALMENTE EL 18 DE JULIO Y EL 19 DE JULIO DE FORMA FÍSICA. 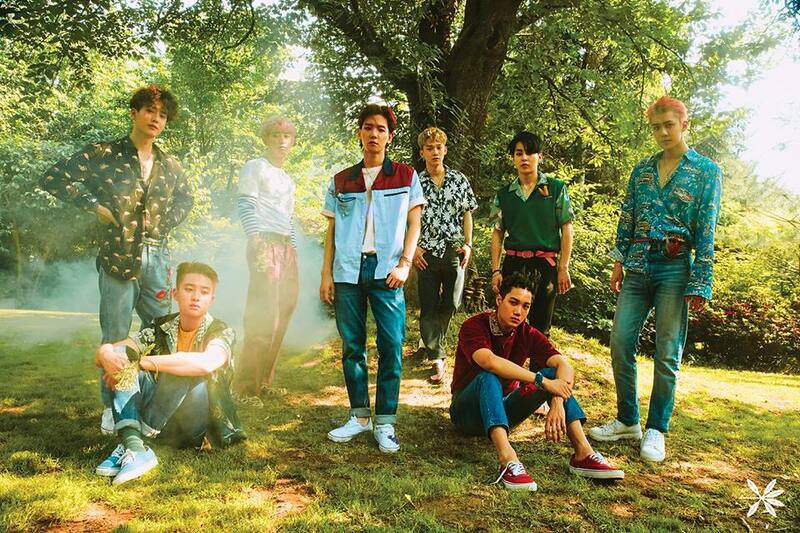 EXO ROMPIÓ SU PROPIO RECORD IMPUESTO CUANDO SE LANZÓ EL TERCER ALBUM CON MÁS PREVENTAS CON UN NUMERO SUPERIOR A LAS 660 MIL COPIAS CON EX´ACT, AHORA CON EL CUARTO ALBUM "THE WAR" LO SUPERÓ CON MÁS DE 807 MIL PREVENTAS EN DISCOS, CONVIRTIÉNDOSE EN EL GRUPO DE KPOP QUE MÁS COPIAS VENDIDAS ANTES DE SU LANZAMIENTO HA ALCANZADO. LA SM ENTERTAINMENT CREO 3 VERSIONES DEL DISCO THE WAR TITULADAS A, B Y PRIVATE, LAS CUALES CONTIENEN EL DISCO, FOTO CARDS INDIVIDUALES COLECCIONABLES Y UN PHOTOBOOK DE LOS MIEMBROS DEL GRUPO, POR LO CUAL SON 3 LOGOS CON 3 PORTADAS DISTINTAS, CON COMENTARIOS Y DETRÁS DE CÁMARAS, TANTO EN COREANO COMO EN CHINO. EL 9 DE JULIO SM ENTERTAIMENT LANZÓ EL PRIMER TEASER INDIVIDUAL POR KAI, EL 10 EL SEGUNDO TEASER POR BAEKHYUN, EL 11 EL TERCER TEASER POR CHANYEOL, EL 12 EL CUARTO TEASER POR SEHUN, EL 13 EL QUINTO TEASER POR SUHO, EL 14 LANZÓ EL SEXTO TEASER POR XIUMIN, EL 15 EL SÉPTIMO TEASER POR CHEN, Y FINALMENTE EL 16 LANZÓ EL OCTAVO TEASER INDIVIDUAL POR D.O. TANTO EN SUS CUENTAS OFICIALES DE TWITTER, INSTAGRAM, YOUTUBE Y WEIBO. EL DÍA 17 DE JULIO LA SM ENTERTAINMENT LANZÓ EL ÚLTIMO TEASER PERO GRUPAL DONDE SE PODÍA APRECIAR EL RESUMEN DE LOS TEASERS DE TODOS LOS INTEGRANTES Y DE FONDO CONTENÍA UN MIX DE LAS 9 CANCIONES DEL NUEVO ALBUM THE WAR. LAS CANCIONES QUE CONTIENE THE WAR SE ENCUENTRA EL PRIMER SENCILLO KOKOBOP, THE EVE, DIAMOND, FOREVER, WHAT U DO?, TOUCH IT, WALK ON MEMORIES, CHILL Y GOING CRAZY ESTA ÚLTIMA QUE FUE REVELADA EN EL EXO PLANET #2 . EN ESTE ALBUM PARTICIPA LA COLABORACIÓN DE ALGUNOS MIEMBROS EN LA ESCRITURA DE LOS TEMAS COMO CHANYEOL, CHEN Y BAEKHYUN. EL 18 DE JULIO LA SM ENTERTAINMENT FINALMENTE LIBERÓ EL MV OFICIAL DEL GRUPO EXO CON LA CANCIÓN PRINCIPAL "KOKOBOP" DEL ALBUM THE WAR LOGRANDO QUE EN 24 HORAS CONSIGUIERA CASI 9 MILLONES DE REPRODUCCIONES EN YOUTUBE, EL FANDOM EXO L HIZÓ UN GRAN TRABAJO AL ALCANZAR ESTE RECORD PARA EL GRUPO. ACTUALMENTE EL SENCILLO "KO KO BOP" OBTUVO EL ALL-KILL EN LAS CINCO PRINCIPALES LISTAS MUSICALES DE POPULARIDAD COMO LO SON MELON, BUGS, SORIBADA, ENTRE OTRAS, LAS OTRAS CANCIONES DEL ÁLBUM SE UBICAN DETRÁS EN LA LISTA. EL 19 DE JULIO SE DIO A CONOCER QUE EL CUARTO ÁLBUM "THE WAR" DE EXO SE UBICÓ EN EL NÚMERO 1 EN 41 PAÍSES COMO ARGENTINA, AUSTRALIA, BIELORRUSIA, BRUNÉI, CANADÁ, COSTA RICA, REPÚBLICA CHECA, DINAMARCA, ECUADOR, EL SALVADOR, FINLANDIA, GRECIA, ETC,. EL FANDOM EXO L HA REALIZADO UN ARDUO TRABAJO AL LOGRAR LOS RECORDS ALCANZADOS PARA EL GRUPO DE KPOP EXO, QUE ACTUALMENTE TIENE LA AGENDA LLENA DE PRESENTACIONES EN LAS SIGUIENTES FECHAS EN DIFERENTES PROGRAMAS DE TELEVISIÓN. DEBIDO A QUE LAY CONTRAJO COMPROMISOS PREVIOS EN CHINA ANTES DEL COMEBACK, ÉL NO ESTARÁ PARTICIPANDO NI EL COMEBACK, NI EN LAS PRESENTACIONES, CONCIERTOS Y TAMPOCO EN LA PRODUCCIÓN DE DISCO. 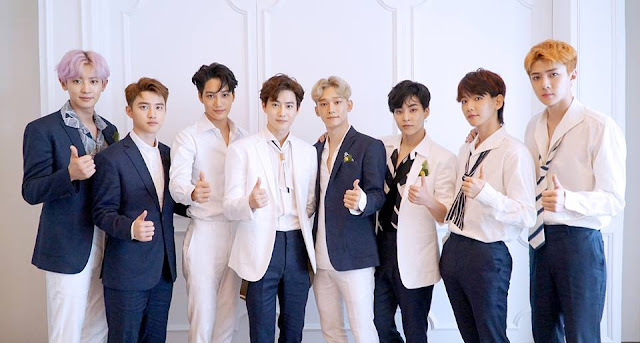 EXO ES MI GRUPO FAVORITO DE COREA Y ELLOS TODOS ME ENCANTAN. SU NUEVO DISCO POR FIN SALIO Y GRACIAS SALUDOS DESDE MI PAÍS ECUADOR. OJALA PUDIERAN VENIR AQUÍ A MI PAÍS ME GUSTARÍA VERLOS EN VIVO. LA FUTURA NOVIA DE LEE MIN HO ?